Handing out your business card is an effective form of marketing that costs very little, especially now that you have created and printed your own cards. After all, these cards will not do you or your business any good just sitting around looking pretty. 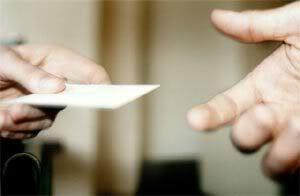 Traditionally, business cards are traded after someone shows interest in you or your company. They are given out at trade shows, conferences, lectures, offices, stores and business meetings. However, these are not the only times and places to hand out your cards. The first rule of thumb is to always carry your business cards on you. Even if it’s a Saturday out at the zoo with your family, you need to have some cards on you. You never know when an opportunity to market yourself will pop up. Card carriers are even available for purchase if you are worried about your cards getting damaged while being carried around. Make sure you include your business card with every product you ship out. This is a reminder to the recipient of where the product came from. If they were happy with a speedy delivery and a well delivered product they will want to order from you again. Include your card with all mailings including billing statements. It might seem silly to think that the person processing your bill payment would have any interest in your card but you never know what service or product that person is currently in need of or who they know. Never assume that someone isn’t interested in what you have to offer. Do not be stingy with your cards, in fact you should always give someone an extra card or two. What if they take your card back to their company and want to share your card with others? What if they think a friend of theirs in another business could benefit from your services also? Allowing yourself to hand out multiple cards to one person can only expand your network. 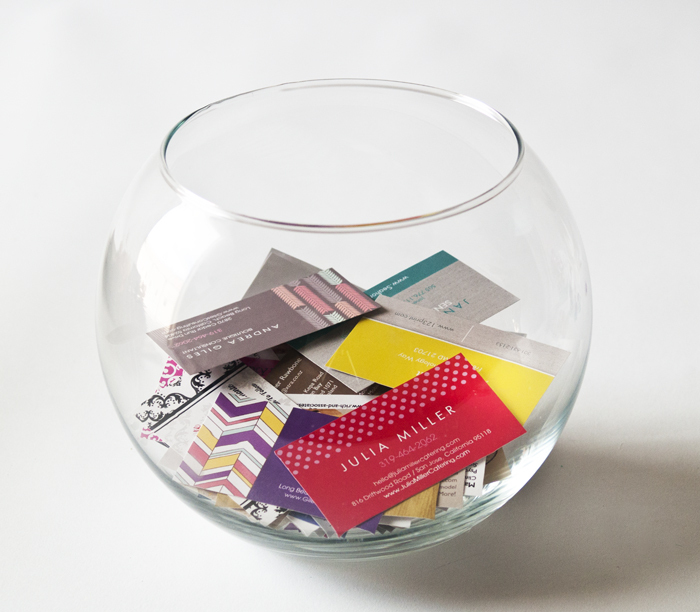 Always participate in fish bowl business card contests. Even if you don’t like the prize toss your business card into the bowl. Honestly this type of contest is a networking ploy and is never really about the prize. The company hosting the contest is looking to network and so are you. By throwing your card in the bowl you are sending the message that you are looking to expand and interested in hearing from the host of the contest. Put your cards out at a place potential customers or clients are likely to visit. Think about places in your community where you have seen community boards or tables. Which of those place best fits your clientele? Leave a stack of cards out at these places. Coffee shops are a great place to start, so are physicians offices and super stores. Don’t be afraid to enlist employees or family members to aide you in distributing your cards. If your wife is running to the store ask her to put some cards up on the community board! Passing out business cards is an easy and effective way to spread brand awareness and market your business. If you are feeling shy about any of these options, ease into it slowly. Set a goal to hand out “x” amount of cards a week. Tackle one of the above options at a time. Remember handing out a few cards a week is better than handing out no cards at all! Have you tried handing out business cards in any of the above scenarios? What creative ways have you come up with to hand out your business cards? Thanks for sharing the information. good to know.